Growth marketers have a close relationship with data: it’s invaluable for building campaigns and measuring performance. Here at Iterable, our platform was built from the ground up so our customers can garner engagement with data-rich campaigns. If the data exists, we empower our customers to use it (however they please) inside any of their campaigns. This means mobilizing any data type—demographic, behavioral, third-party data and more—to create seamless, cross-channel experiences. When it comes to performance measurement, we’ve included traditional campaign metric tracking as part of our standard offering, but we’ve been working tirelessly behind the scenes to bring you more—more metrics, more reporting, more visibility, more insights! 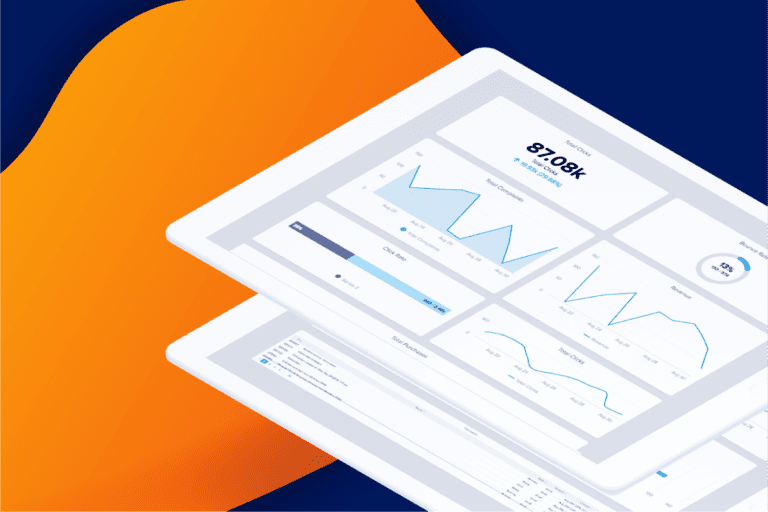 We’re excited to introduce our newest platform feature: Iterable Insights—our custom reporting and dashboard tool. We announced Insights at Activate and have since worked closely with our beta customers in creating the features and functionality that exceeds the needs of the data-driven growth marketer. Iterable Insights helps marketing teams visualize your campaigns, track your performance, and iterate quickly. 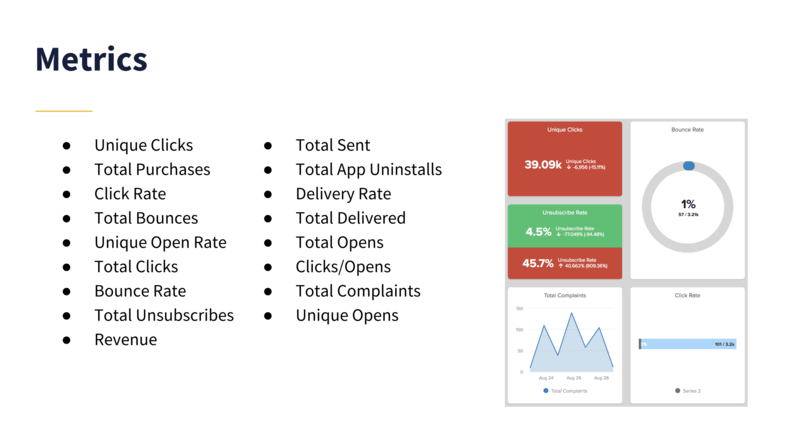 With Insights, you’ll gain a holistic view of growth marketing performance through the tracking and measurement of critical campaign metrics, such as unique open rate, total app uninstalls and revenue. Iterable Insights enables marketers to create custom reports on specific workflows or campaigns. Share your reports with the rest of your marketing team for better tracking and visibility. 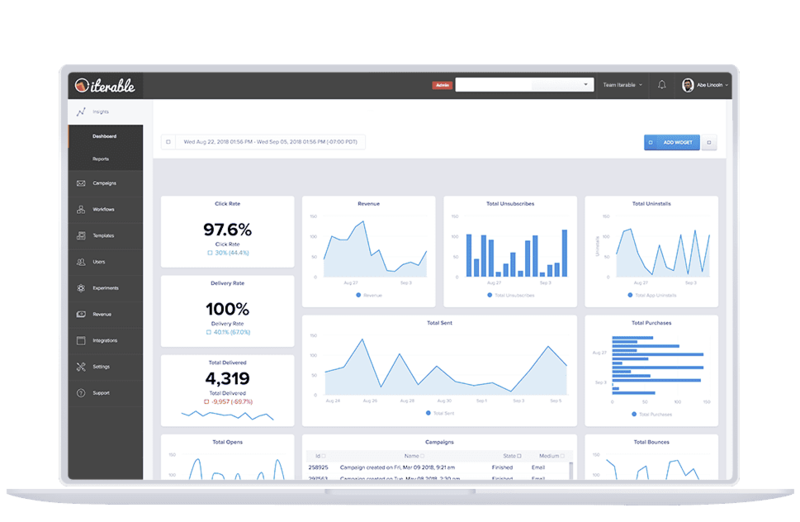 Reports provide your team with critical metrics attributed to workflows and campaigns. 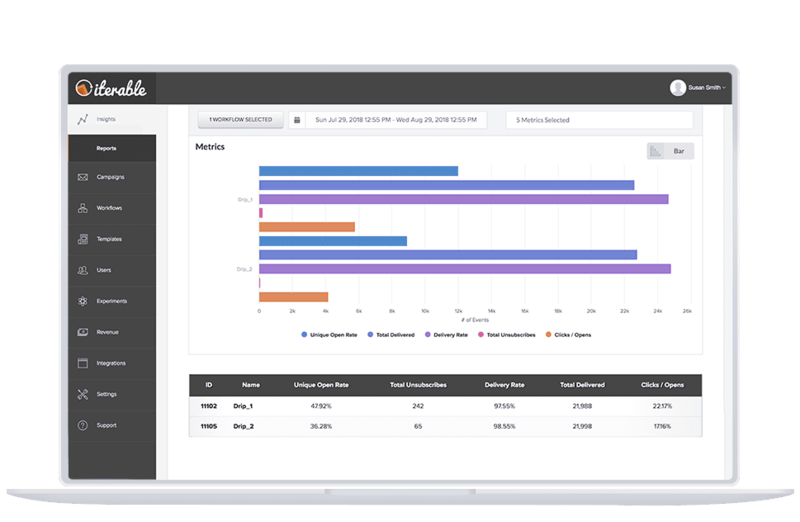 Data in hand, Iterable Insights also lets you create a custom dashboard for a comprehensive overview of your growth marketing performance. 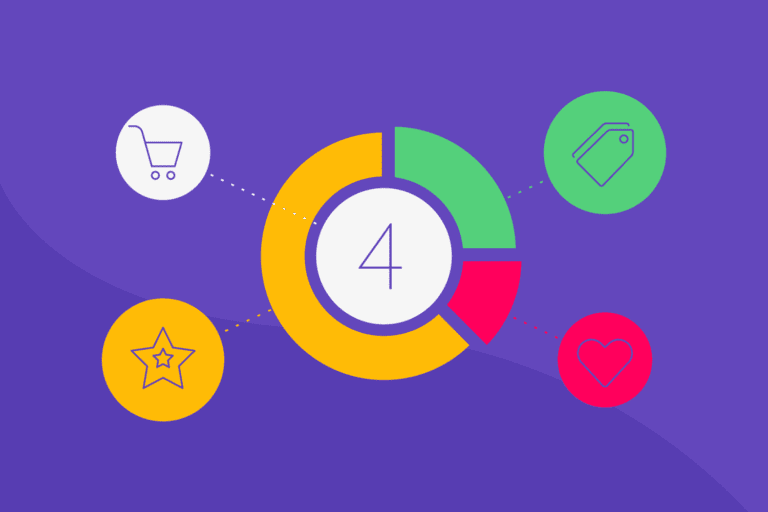 We’ve put all your metrics into one place so you can quickly gauge your success. The consolidated view will help you identify areas that need improvement so your campaigns always captivate. The customizable dashboard view will give you a look into your performance over time. Personalize yours by choosing from several different chart type options, adding a list of running and completed campaigns, and dragging and dropping widgets to display the view that works for you. Dashboards offer comprehensive views of campaign performance over custom time periods. Remember, marketing is anything but a one-person job; success grows from transparency, collaboration, and informed decision-making. And with Insights, you can ensure your campaigns stay fresh and relevant, without worrying whether or not your team is looped-in. Let’s see it in action! We’ve equipped marketers with all the necessary tools for agile iteration and performance optimization. Insights will be a valuable addition to our growth marketing platform and open the door for some exciting releases in the future. To learn more about Insights and why Iterable powers world-class customer engagement like no other solution, sign up for a custom demo today. 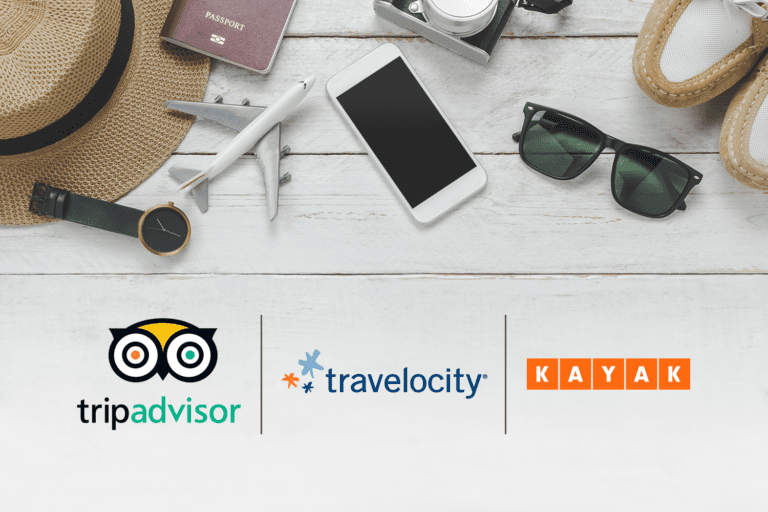 Online Travel Agents: Whose Marketing Wins the Booking Battle?